My style has evolved into a more polished, classy, and sophisticated look to met my age and my body. I know what works for me and what doesn’t and that probably comes from my evolving style! 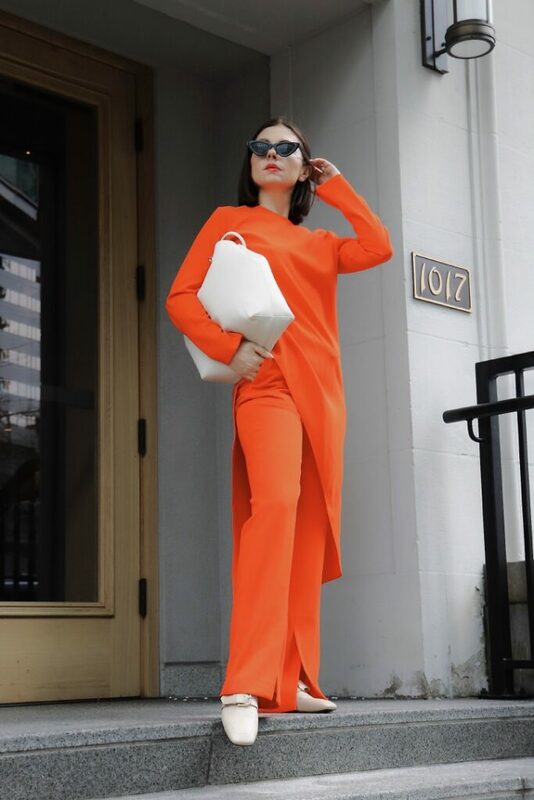 I don’t usually wear red or orange, and I haven’t owned any bright items in my wardrobe until I bought this beautiful Zara set. As you might know, I am obsessed with Victoria Beckham style and her collection. Her last collection inspired this look. Coral is one of my favourite colour of Spring. This suit from Zara it’s a must and you nailed it with the neutral shoes and bag. I saw this gorgeous set on your instagram and never related it to Zara. You carry it like designer pieces. Love these neutral accessories. They really tone down the bright Coral color. Looking so sophisticate girl.